A new walk-in bathtub or shower conversion can transform a bathroom, or provide greater accessibility when it’s dearly needed. It requires a fraction of the time it would take for a full remodel—sometimes just a single day. DaBella’s factory-trained and certified installers will have your most personal room back in service and better than ever. And for comfort, performance and quality in residential tubs, showers and walk-ins, it’s DaBella. Always. 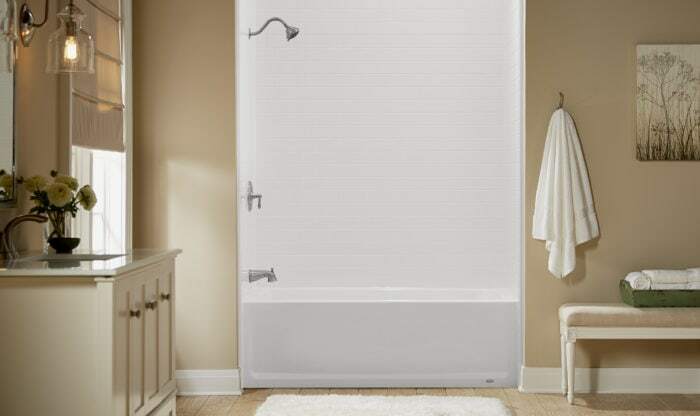 As a premier dealer of American-made BathWraps®, we offer the most complete line of non-porous acrylic materials, styles and colors in residential tubs, showers, and walk-ins. But you may be asking: Why are these materials such a smart investment? In addition to being so cost-effective, non-porous acrylic is easy to keep clean and can last a lifetime. In turn, combating the destructive effects of mold and mildew, protecting the value of your home, and potentially safeguarding the health of you and your family. It’s why DaBella trusts BathWraps and to prove it, why we offer the industry’s leading manufacturer warranties. The coveted Angie’s List Super Service Award honors service professionals who have maintained exceptional service ratings and reviews on Angie’s List. Super Service Award winners must meet strict eligibility requirements, which include maintaining an “A” rating in overall grade, recent grade and review period grade. The BBB has set the bar of excellence for rating businesses for customer satisfaction. An A+ Rating means the BBB has determined that the business meets accreditation standards, which include a commitment to make a good faith effort to resolve all consumer complaints. DaBella is able to offer our customers the Bathwraps® Lifetime Limited Warranty, which guarantees the product for as long as you own your home. And for our Colorado customers, we are able to provide the exact same warranties by, BCI Acrylic Bath Systems. It has been a good experience and valuable education learning about and choosing the correct therapeutic walk-in bathtub. Knowledgeable, helpful.Very nice people. Dave’s a good man. Happy with how everything looks. The shower is beautiful. The installation was done in one day as promised. The workers were very accommodating and efficient. I am most happy with how everything looks. When he cleaned up at the end of each day he was even more detailed than our house cleaner! Zech and Tyler, were very thorough in their presentation and explanations. Very well done! David N came to our home today and shared his company’s values with us and we purchased a bath from him on the spot! They have fantastic products with lots of choices at a resonance price. I would highly recommend! !